Sime Darby Plantation looted Dayak Hibun indigenous peoples’ land in Kerunang hamlet and Entapang hamlet by converting indigenous peoples land for PT MAS oil palm plantation concession area (HGU). PT MAS broke the initial promises of socialisation in 1995 that the company only borrowed community land to establisj oil palm plantation for only 25-year. However, without information and consent of the community, PT MAS made community land as a business right (HGU).  https://www.tuk.or.id/wp-content/uploads/2019/03/foto-konfrensi-pers-sime-darby.jpg 444 995 TuK Indonesia http://www.tuk.or.id/wp-content/uploads/2018/12/Logo-Tuk-Indonesia-340-300x136-300x136.png TuK Indonesia2019-03-21 08:12:092019-03-25 03:50:48Press Release: Unsustainable Sime Darby, Buyers and Financiers Must Stop Their Business Relations.